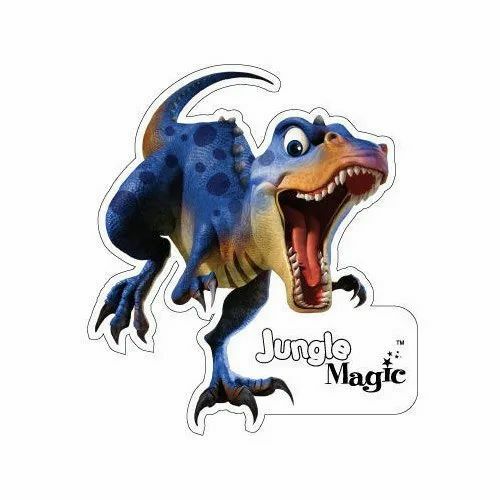 Through regular improvement, we are offering an exclusive collection of PVC Sticker. S. R. Art Printer. That has been in business (Commercial Printing) is established in the year 1990 are counted as one of the leading Manufacturing of an effective range of Printed Stickers. We provide Digital Printing Service and Offset Printing Service as per customers demands. We have been an established and popular company with an excellent track record for the best customer satisfaction. We have never compromised on the quality and the services provided to the customer. We believe in keeping the customers happy and providing them with products at a very competent price. We have excellent staffs who will guide you with their best ideas by keeping in constant touch with your company and informing about the market trends. This facility is equipped with latest technology, machinery and instruments that are required for carrying out smooth business operations. Apart from this, we have the team of expert professionals, which helps us in maintaining cordial relations with customers by contacting them on a regular basis.